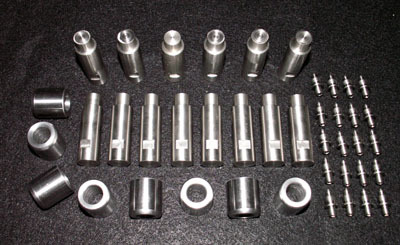 We can make one-off parts as well as several thousand of the same part. We can make parts to your supplied print specifications, or we can reverse engineer your physical property by drawing it ourselves. We know how to build quality parts. From traditional machining to our state of the art CNC Machining, DLR is equipped to create precision component parts that meet your exact deliverable requirements. 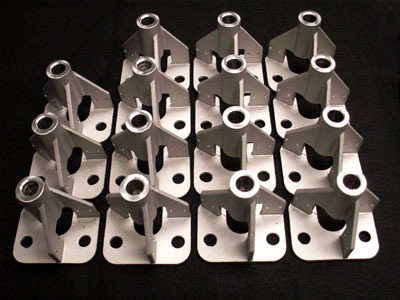 We are equipped to fabricate components from several types of materials including aluminum, brass, steel, stainless steels, alloy steel and iron. An assembly is only as good as its weakest component. Our extensive experience and attention to detail insure that component parts within an assembly meet intended engineering cycle test requirements. Do you have a difficult to machine part, or a new concept for a unique part? We can help you develop your ideas and provide you with working prototypes. We handle all the setup and machining from your original design. We can also help you with the design itself, turning your vision into a machined part reality. DLR only delivers quality. We have a complete quality control inspection department that insures your stand alone parts, component parts and assemblies are made to your exact engineering specifications. Copyright 2009 by DLR Manufacturing Inc.